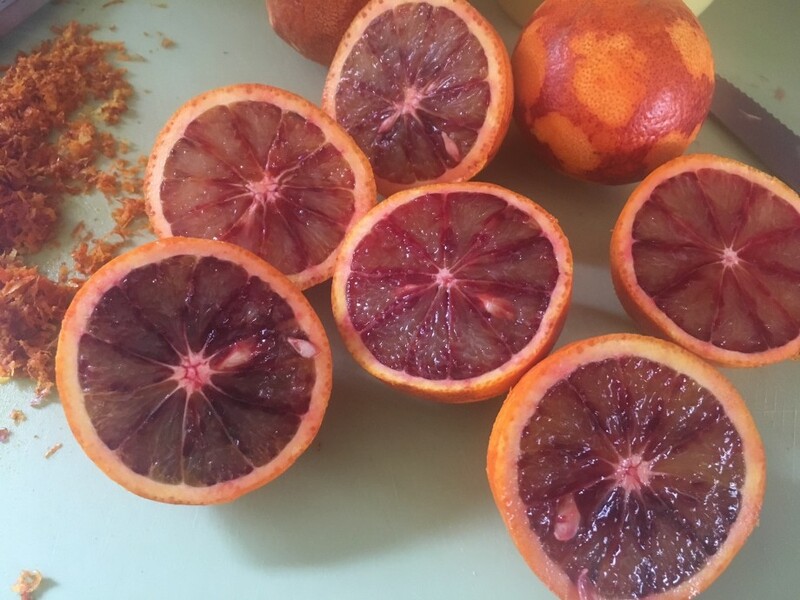 The blood orange season is in full swing so buy them while you can. I usually add them to a salad with some bitter leaves to counteract their sweetness but, with a larder full of eggs, a homemade curd seemed a grand idea. Orange curd lacks the mouth puckering tang of its lemon cousin but sometimes mellow is good. The blood orange gives a wonderful, warm caramel hue to this curd. If you’re brave you can cook the curd over a direct heat but on the whole it’s safer to cook it in a pudding basin placed over a pan of simmering water. 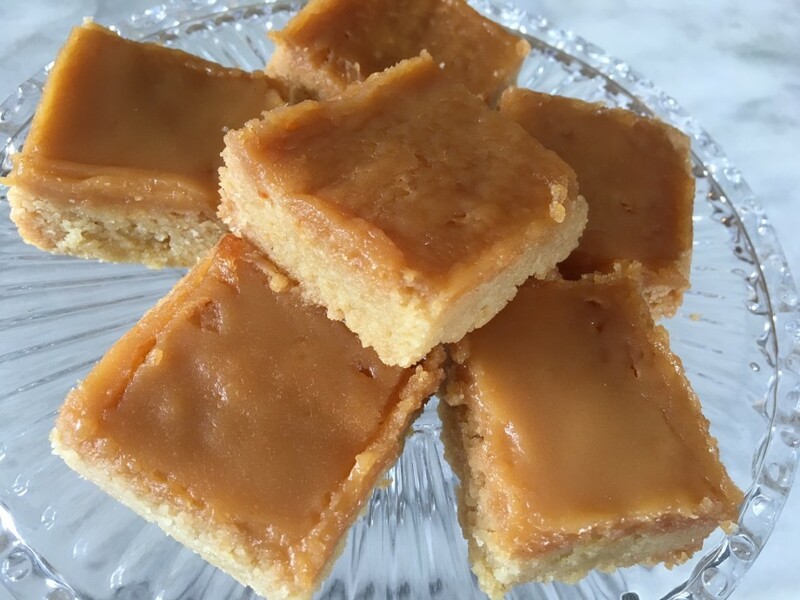 You can save the curd for eating with scones or crumpets but the sticky layer it adds to a buttery homemade shortbread is totally addictive-the best teatime treat. Put the zest and juice of the oranges and lemon in a pudding basin (that fits snugly over a saucepan) and add the caster sugar, whole eggs and egg yolks. Beat to combine all the ingredients. Add half the butter and place the pudding basin over the saucepan which should be filled with about 3cm depth of simmering water. 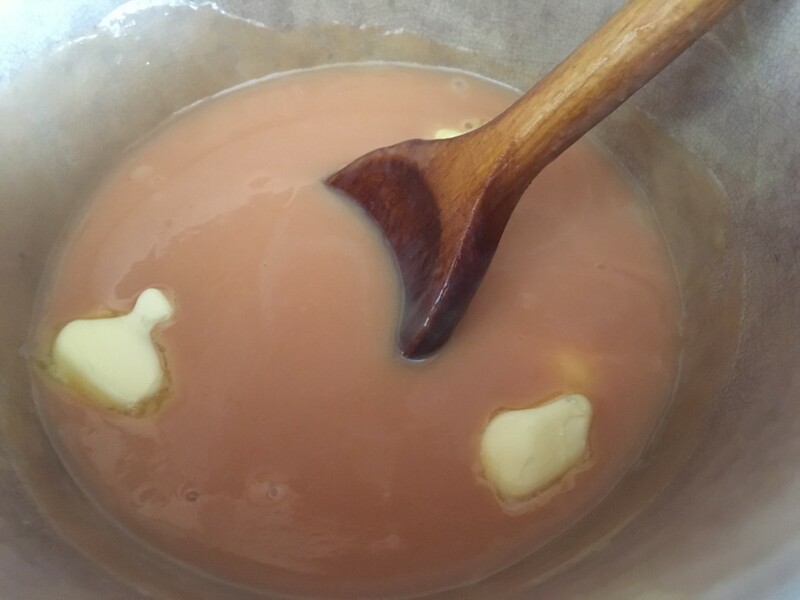 Stir over a moderate heat until the butter has melted and the mixture is thick enough to coat the back of a wooden spoon, about 8-10 minutes. Pass the mixture through a fine sieve to remove the bits of zest and albumen strands. Clean the pudding basin and pour the smooth mixture back into the basin. Place back on the simmering water and, piece by piece, stir in the remaining butter. Cook until the curd thickens a little more. It should be a little thicker than double cream. Pour into a sterilised kilner jar (if you are consuming it at a later date) or serving bowl and leave to cool. When it is cold refrigerate for at least 2 hours to thicken up. For the shorbread, line a 23cm (9in) square tin with non-stick baking parchment. Put the softened butter in a food processor with the sugar, grated zest and vanilla extract and blend until pale and fluffy. Add the flour and semolina and blend for a few seconds-just until everything is mixed together. 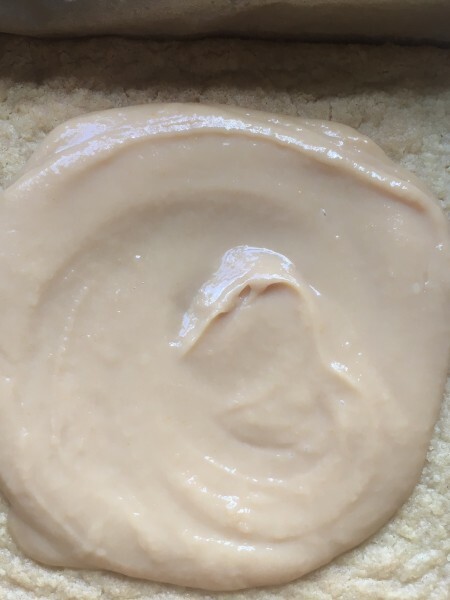 Spoon into the prepared tin, spread to the edges and level the surface. Prick all over with the prongs of a fork. Chill for 2 hours. Heat the oven to 150˚c, fan oven 130˚c, mark 3. 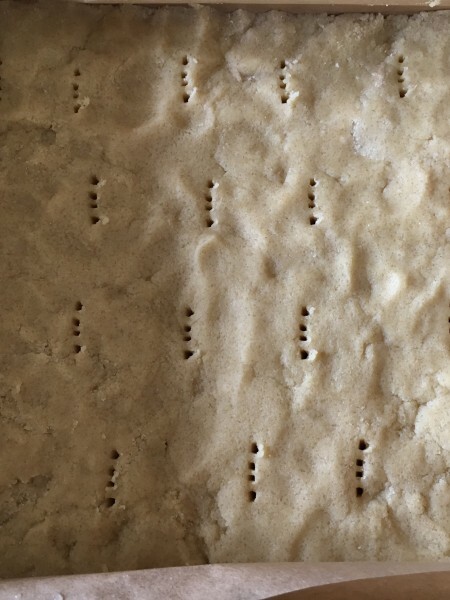 Bake the shortbread for about 50 minutes until evenly golden. Spread the curd over the shortbread and return to the oven for about 10 minutes. Remove and leave to cool for 10 minutes. Mark out squares and leave to cool completely. When cold lift the squares out of the tin.